Announcement - New software party! You've been working on something for awhile and now comes time for the big reveal. I love how well Steve Jobs understood this. We probably should get better at it. But new things are exciting and need to be celebrated and announced far and wide. Time - Just because something is new doesn't mean it's great or even good. How many books have you started only to be disappointed. Ever watched a movie that didn't live up to it's hype? The same happens with software. Think of the apps on your phone that you downloaded and have only used once or twice. You have to give software some time for the innovators and early adoptors to play around with it. Adoption - Here is where the rubber hits the road. Do people really like and use that new feature. Is the pain of the way they were doing it, or the fact they weren't doing it at all, more than the pain of using the new feature? If it's too big of a pain to use, people won't. The tricky part is that some of the innovators and early adopters have the expertise and motivation. Whereas, the majority and laggards find it too hard or just not useful enough. Church management software often has lots of these features. 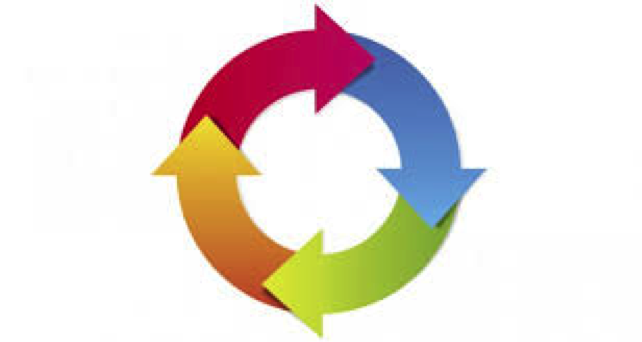 Shelf or Improve - Agile software developers have feedback loops at each phase of the adoption cycle and the ability to make necessary tweaks in real time to help improve adoption. But, if people don't use it, they and sometimes even the company will shelf that software or that feature. Over time, shelved or lightly adopted features add to the complexity of the software making it less likely to be adopted. It's a tricky balance to keep as a developer. This is why we must have a culture of constant improvement. There are new ways of doing things or just new looks that have to be kept up with and adopted. Things that once were state of the art must be pulled out and replaced with better ways of doing the same thing. And then comes the next new announcement. Isaish 43:18-19 gives us helpful advice, "Forget the former things, do not dwell on the past. See, I am doing a new thing! Now it springs up, do you not perceive it." As we start this new year, let's be perceptive to see and learn about the new things springing up. Let's also be wise enough to know that new doesn't mean better. Better is proven over time and adoption. Even then, there's room for improvement.